County planner Steve Lazar has released the draft medical marijuana cultivation ordinance that county supervisors will look at next week. Click on the pdf for details on the permit tiering and other regulations recommended by the planning commission. Also included is a letter in support of the recommendations penned by commission Chair Robert Morris and a letter from Commissioner Noah Levy explaining why he voted against the recommendations. The mitigated negative declaration — the county’s guarantee to the state that the law won’t harm the environment — will be “bolstered” by more grows coming into compliance, Morris wrote. The Humboldt County Planning Commission finalized its recommendations for an outdoor medical marijuana cultivation ordinance last week, and staff is working to incorporate the direction into a draft that will go before the board of supervisors on Dec. 15. But it’s still far from concrete. The draft ordinance will go to the board next Tuesday, which will review the draft and likely make changes of its own. If you haven’t been following the drama, the commission has presided over dozens of hours of discussion and public comment over the ordinance in the last month. Much of the debate has surrounded the dueling environmental and cannabis communities, who’ve been at odds over marijuana’s footprint in the Humboldt County hills. The planning commission recommendations lean toward the cannabis side — perhaps not surprising, given the board's majority makeup of property rights advocates and developers. While the planning commission’s primary role is to make sure proposed laws fit the mission of the county and are consistent with state and local codes, the current iteration of the commission has proven to be vocal about its philosophies, and those reflect in the draft recommendations. The commission declined to include several requests from environmental groups, such as a ban on cultivating in timber production zones. 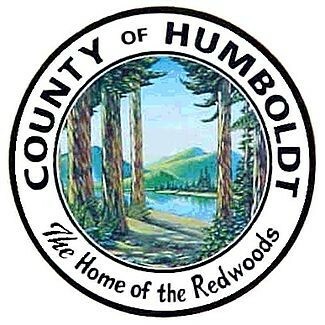 Lazar said the planning commission requested that a "Humboldt Heritage" concept, which would reward best-practices growers, be included in the draft. Lazar acquiesced, but said the piece was "tacked on." "The tension we’re feeling is that branding isn’t really the domain of the planning and building department," he said. "Clarifying and refining the zones where indoor and outdoor cultivation will be permitted, adjusting many of the cultivation limits and discretionary permit triggers to incentivize compliance and participation by existing operators, and providing a mechanism for provisional licensing and confining after-the-fact permitting to structures and activities associated with the cultivation operation (not residences or unrelated accessory structures). The Commission also chose to incorporate provisions for nurseries and manufacturing facilities into the ordinance, and developed policies and performance standards related to water forbearance, generator use, and mixed light cultivation. Meanwhile, county building and planning staff have drafted a voluntary registration program that could give local growers seeking state permits a leg up. New state medical marijuana laws, expected to go into effect in 2018, will create 17 different types of licenses for cannabis businesses. As an apparent stimulus to get applications rolling in, the legislation says that any medical marijuana business in good standing in local jurisdictions by Jan. 1, 2016 will get “priority” status when applying for state licenses down the road. It’s unclear what that status will provide, but the clause has left counties scrambling to determine how to recognize what “good standing” means. Humboldt’s solution, should the draft ordinance be approved by supervisors, is a voluntary registration program. According to a staff report, the purpose is twofold: to give deserving local growers state priority status, and to identify the local demand for the varying state licenses. The staff report suggest that the details defining “good standing” remain to be worked out with various county agencies, including the sheriff’s office, and it’s unlikely that anyone will be able to register by the first of the year. But the program will work retroactively, to a certain extent, acting as documentation that cannabis growers who registered were seeking county approval, and would be recognized, in an official capacity, as having been in good standing prior to Jan. 1, 2016.